Before last year, I had undergone a grand total of zero surgeries. Zilch, nada, nil. Not even wisdom teeth extraction. Mind you, a lot of effort went into maintaining my pristine surgical record (or lack thereof). If I had a dollar for every time a doctor told me that removing my tonsils would combat my recurrent strep infections then I’d have…. well, at least enough money to buy a few bags of those medicated lozenges from Walgreens (which, believe me, come in handy for sore throat pain). But I convinced myself that strep really isn’t that bad. And that wisdom teeth extraction I mentioned earlier? Scheduled it 3 different times. Cancelled it 3 different times. Suffice it to say, if a doctor used the word “elective” to describe a potential surgical procedure, that doctor could forget it. Never gonna happen. Why? Because surgery scared me. And that’s putting it lightly. The truth is that when I was faced with the unknown of surgery, I expected the worst. I predicted countless possible outcomes, all equally awful and all equally unlikely to occur, and then convinced myself that every single one of them would happen if I underwent the surgery. I’m wheeled into the operating room on a gurney. The room is brightly lit and freezing. I’m transferred from the gurney to a narrow operating table. Anesthesia is administered. The surgical site is cleansed and surrounded by a sterile drape. The surgeon enters the operating room. He’s tired. Exhausted, even. He’s been up all night fighting with his wife. “Its fine,” he thinks, “I could perform a tonsillectomy in my sleep.” But just in case, he’s had 5 – maybe 6 – cups of coffee already and its only 8:04 a.m. The surgeon grabs his scalpel and moves in close to get a good look at my tonsils. Suddenly, caffeine jitters kick in and his hand begins to shake. He loses his grip on the scalpel. Everyone watches in horror as the scalpel falls towards me. It slices my carotid artery on impact. Blood is spewing from my neck. Everything is red. “Somebody get me the gauze,” the surgeon yells. He tries frantically to pack the wound and apply pressure. It doesn’t matter. It’s too late. A few days later, my funeral takes place in a lovely park overlooking a lake. “What a tragedy, she was so young,” someone says. “I know, she had such a bright future ahead of her,” another responds. So when I was told that I needed surgery, like actually needed it and it wasn’t just some suggestion to make my life a little easier, I experienced a cold sweat like you wouldn’t believe and my mind starting drumming up drama-filled surgical scenarios, any one of which was worthy of earning me a gig as a writer for Grey’s Anatomy. And then I worried. A lot. But the worst part is that I didn’t worry about the things that are actually worth worrying about – like the potential financial burdens of surgery. Here comes the extra vulnerable part of this post: Even though I’m an ERISA attorney – which means that I am all too familiar with health insurance shenanigans – I found that interrupting my crazy internal dialogues to make sure my insurance coverage was in order felt like a Herculean effort. Because here’s the thing – when you’re really nervous about something, the train of worries and fears chugging along through your brain makes concentrating on anything, let alone something complicated like health insurance, almost impossible. So I did what I always do when I’m feeling overwhelmed: I made a list. Everything seems more manageable when you’ve managed to write it down. Below is my list of 5 easy things that you can do to help reduce your odds of receiving surprise medical bills following your surgery. 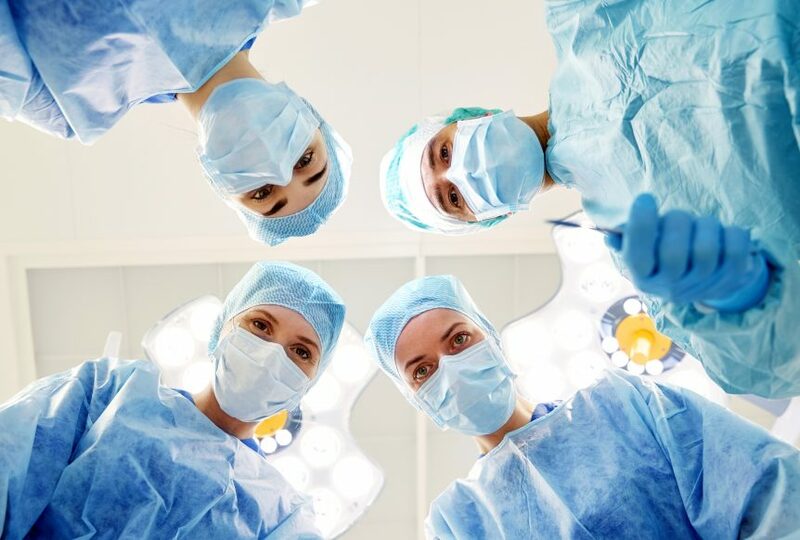 My hope is that, if you’re like me and your brain is pulling you in million other directions thanks to pre-surgery jitters, this list will help you focus on the potential financial burdens of surgery (and how to avoid them). 1. Ask for things in writing and keep records. This is truthfully the first and most important piece of advice I can give you. As you’re preparing for surgery, take notes, request things in writing, and keep copies of all your communications with the hospital, doctors, and, importantly, the insurance company. Unfortunately, you can do your best due diligence with your insurer – and even be assured that the surgery will be covered – only later to be notified that coverage has instead been denied. This happens. A lot. Documenting your communications with all involved parties may help strengthen your case in the event of a problem later. 2. Get a copy of your plan documents. Then read them. Before undergoing any surgery or medical procedure, it’s important that you understand what your health insurance plan covers and how it works. This information can be found in the plan document, summary plan description (SPD), and the summary of benefits and coverage (SBC). Generally speaking, these documents explain what services will and will not be covered, conditions you must meet to receive benefits, how to file a claim for benefits, and other important details. You can ask for copies of these documents in writing from your insurance company or group health plan. 3. Find out if your providers are in-network. In-network means that your provider has negotiated a contracted rate with your health insurance company. Health insurance companies prefer that you obtain care from their in-network providers because it costs them less. If you choose to see an out-of-network provider, it will cost you more. How much more is dependent on the terms of your particular plan. If you want to stay in-network to save money, be sure to verify that the facility, primary surgeon, and other medical providers (assistant surgeons, radiologists, anesthesiologists, etc.) are in your insurance plan’s network. To do so, you should check your insurer’s provider directory, and then double-check with your doctor’s office staff or billing department to make sure the information is current. 4. Do your homework on prior authorizations. needed and request it from your insurer. Sadly, however, we don’t live in an ideal world. Therefore, it is prudent to review the plan documents yourself to determine if prior authorization is needed, and if you’re unsure, call the insurer. Take notes during the call and write down the authorization number if you are provided with one. 5. Check your mail and web portal. Following surgery, you will receive a document titled “Explanation of Benefits” (EOB) from your insurance company. The EOB can arrive as a paper document or electronically through your insurer’s web portal. The EOB provides details about a medical insurance claim that has been processed by your insurer, including the charges that were received, what they were for, what was paid or denied and the reasons behind those actions. If any portion of the claim has been denied, you have the right to appeal the decision. However, you have a limited amount of time to appeal. The deadline to file an appeal depends on the language in your policy and the law governing your claim. Typically, if your claim is governed by ERISA, you must file your appeal within 180 days of receiving notice that your claim was denied. If you miss the deadline, you may forfeit your rights to the claim and will likely never be able to challenge the denial. So there you have it. Unfortunately, nothing will guarantee that you won’t face health insurance hurdles post-surgery. However, taking the above actions will mitigate the risk of finding a hefty, unexpected hospital bill in your mailbox. And finally, for those of you on the edge of your seat, wondering about how my surgery went: It was successful but otherwise totally uneventful, which, of course, is the only outcome I didn’t predict.